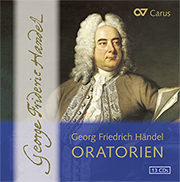 George Frideric Handel is considered England’s first and foremost composer of oratorios. 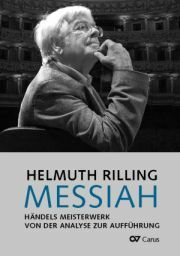 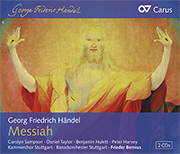 Above all, the Messiah is regarded as the epitome of sacred music and in German-speaking countries it is also one of the most often performed works in the genre. 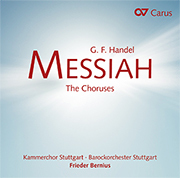 The version of the Messiah which is most often performed today is a combination of various versions. 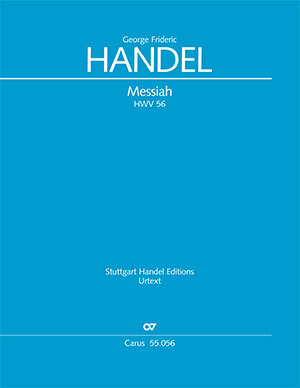 Consequently, the present critical edition by Ton Koopman contains all the surviving alternative versions of the solo movements. 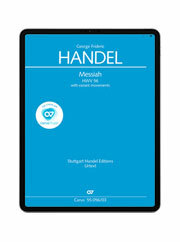 A concordance makes it possible to assign these movements to those various performances of the work conducted by Handel between the Dublin premiere in 1742 and the London concerts which took place up to 1759. 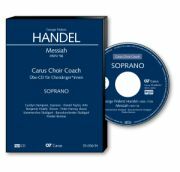 In accordance with the wishes voiced by many choral conductors and singers, the vocal score is available in separate English and German versions.